Learn how to efficiently use all of your produce with these two simple recipes. So you’ve been trying to get into the habit of buying more produce, but when you’re only cooking for yourself, it’s hard to keep everything fresh. You have to get creative with the same set of ingredients. That’s where these breakfast and dinner recipes, both simple and both mouth-watering, enter your life. One is a three-egg omelet and the other, a rotini bake. Here’s what’s great, both of these recipes follow basically the same ingredients list, and both of these recipes are plate-scraping-good. 1. To prep, slice onions and mushrooms and scramble the eggs. Turn your oven on to broil at 400°F. 2. Heat olive oil on medium in a small non-stick frying pan. 3. 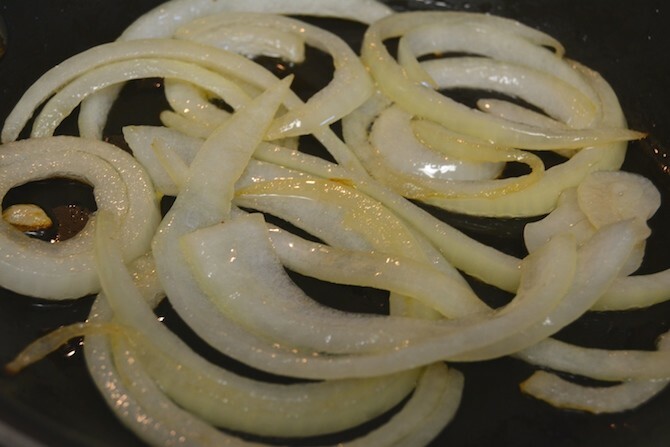 Sauté onions until tender. 4. Add mushrooms and cook until tender. 5. 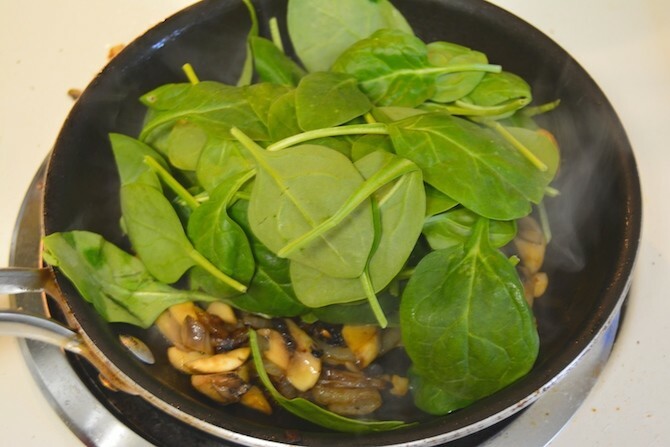 Add spinach and cook until the spinach is slightly wilted. 6. Pour in scrambled eggs and season with salt and pepper (don’t overdo it). 7. 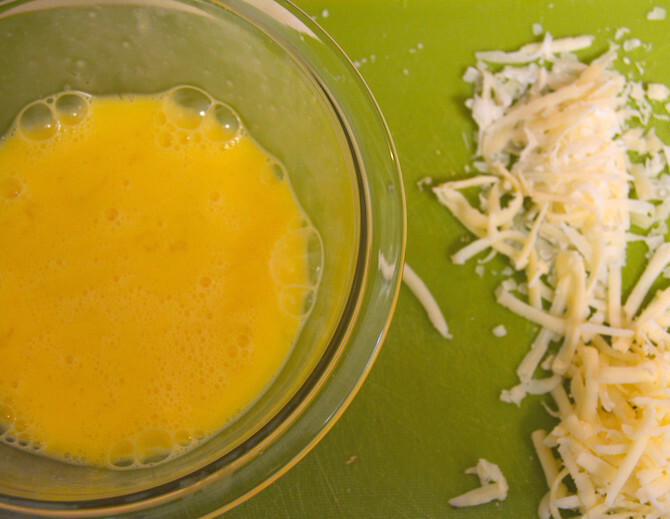 Sprinkle cheese on top and stick in the oven for 2-3 minutes in order to cook the egg evenly. 8. 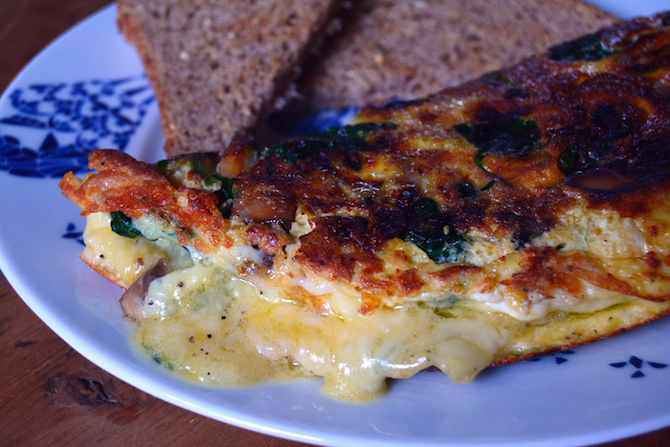 Release the egg from the pan by shifting the pan back and forth, and fold the omelet over on to your plate. 1. To prep, chop the onion, slice the mushrooms, and lightly butter a small casserole dish. Preheat oven to 350°F. 2. Start cooking the rotini according to it’s directions. 3. 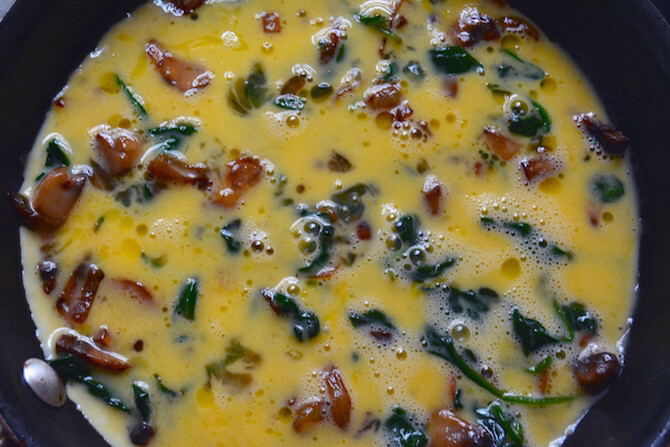 Follow the same directions for the omelet to sauté the veggies. 4. 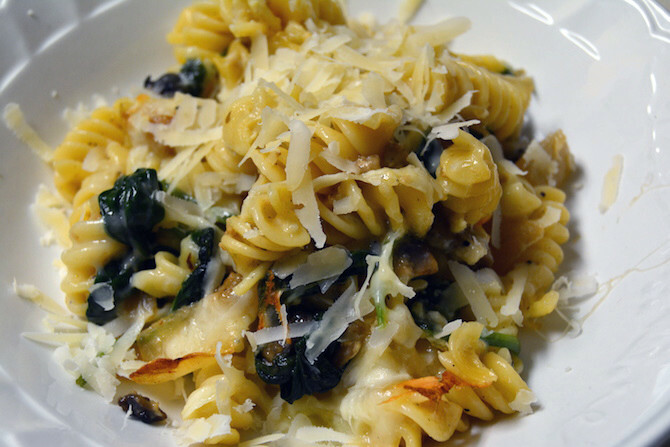 After draining the pasta, put it in a large mixing bowl and mix in sautéed veggies. Season with salt and pepper. 5. Mix in the egg, half and half, and mozzarella cheese. 6. 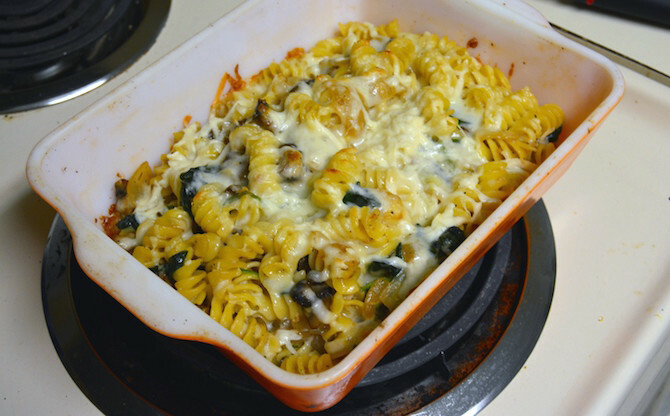 Put the mix in the casserole dish and top with Romano or Parmesan cheese. 7. Bake for 15 minutes or until the cheese gets a lil’ toasty.